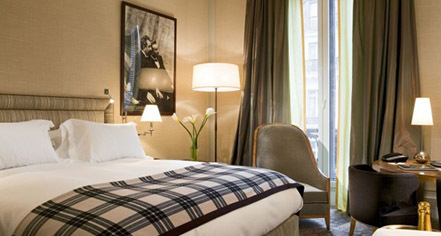 For a grand vacation in the heart of Paris, look no further than the Hôtel Scribe Paris Opéra. Sofitel has skillfully transformed the hotel’s 213 accommodations into wonderful sanctuaries that guests will find irresistible. Designed by the esteemed Jacques Grange, every guestroom and suite pays tribute to the building’s remarkable heritage. Guests are certain to become immersed in the Hôtel Scribe Paris Opéra’s storied past. Luxurious amenities fill these splendid rooms, such as designer toiletries, complimentary refreshments, and a high-definition television that features access to premium channels. 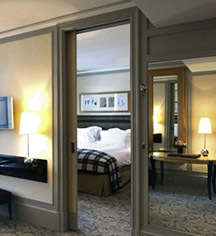 Sofitel is especially pleased with the new cadre of suites that it will soon offer to its guests. Special aspects of the hotel’s story are marvelously illustrated in each suite, such as the historic visitation of Marcel Proust and the arrival of the famous Ballets Russes. These terrific lodgings contain more services and space that will leave guests feeling as if they had never left home in the first place.